This super quick main dish will soon become a family favorite! If desired, top each serving with chopped avocado or guacamole. A mixed greens salad and fresh fruit complete the meal. Preheat oven to 400°F. Lightly coat a 13x9-inch baking pan with cooking spray. Arrange tortilla chips evenly in the baking pan. Combine chicken, beans, corn, green onion, sour cream, and chili powder in a large bowl; stir gently to blend. Spoon evenly over tortilla chips. 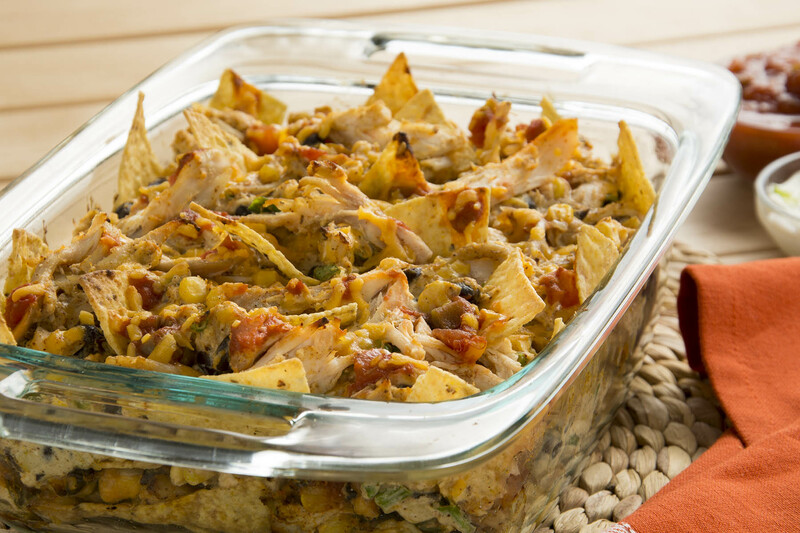 Spoon salsa over the chicken mixture and sprinkle with cheese. Bake, uncovered, for 20 to 25 minutes or until the center of the casserole is hot.